Alzheimer’s disease and other forms of dementia are on the rise, with over 5 million people suffering from the disease in the U.S. It is costing the country $148 billion annually—and pharmaceutical companies wouldn’t have it any other way, as their profit margins continue to increase. While we tend not to worry about diseases that occur much later in life, knowing how to prevent and treat Alzheimer’s is essential. Lifestyle choices such as diet can help prevent the disease, with some research pointing to the relationship between coconut oil and Alzheimer’s – and how this oil can help prevent and reverse the problem. Big Pharma was not on Steve Newport’s side when he began experiencing progressive dementia at age 53 and later diagnosed with Alzheimer’s. Doctors put Mr. Newport on Alzheimer’s drugs like Aricept—a treatment already proven rather ineffective and which often comes with overwhelming side effects (like all pharmaceuticals.) Eventually, Mr. Newport could neither remember how to get water out of the refrigerator nor draw the face of a clock. The pharmaceutical ‘treatments’ failed miserably. By then, Dr. Newport had learned of a promising drug trial for dementia. 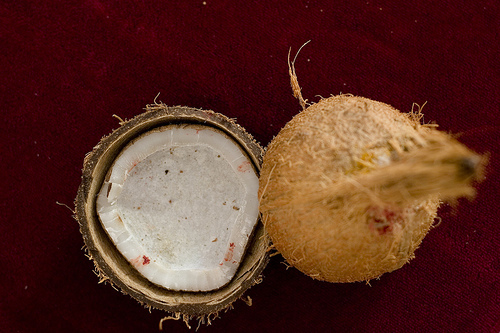 Humorously, the drug was created using a non-patentable natural substance, medium-chain triglycerides (MCT) derived from coconut or palm, since the synthetic drugs are failing – this is the drug Dr. Newport was going for. According to recent research, when the body metabolizes MCT oil, it forms ketones that may protect against and even reverse Alzheimer’s. This is true for Parkinson’s and Hungtington’s disease; multiple sclerosis and amyotrophic lateral sclerosis, also known as Lou Gherig’s disease; drug-resistant epilepsy; brittle type I diabetes; and type II diabetes, as well. But Mr. Newport was unable to get into the drug trial, so he began taking coconut oil twice daily. Over the course of a year, his dementia reversed itself. He was able to run again, his reading comprehension improve dramatically, and memory improved. An MRI proved his brain atrophy had completely stopped. This isn’t the first time natural methods have been shown to be more effective than pharmaceuticals at preventing dementia. While knowing the coconut oil and Alzheimer’s connection can prove extremely useful, Dr. Robert Williams of Kings College in London has advocated the potential benefits of vegetables- and fruits-sourced flavonoids. Many foods—like omega-3 fatty acids found in fish, anthocyanin in berries, greens, and nuts—improve memory and general brain performance. Check out these other natural solutions if you want to know how to avoid dementia and Alzheimer’s through food and diet.
? Ayahuasca and Alternate Dimensions of Reality Drug War Failure ?